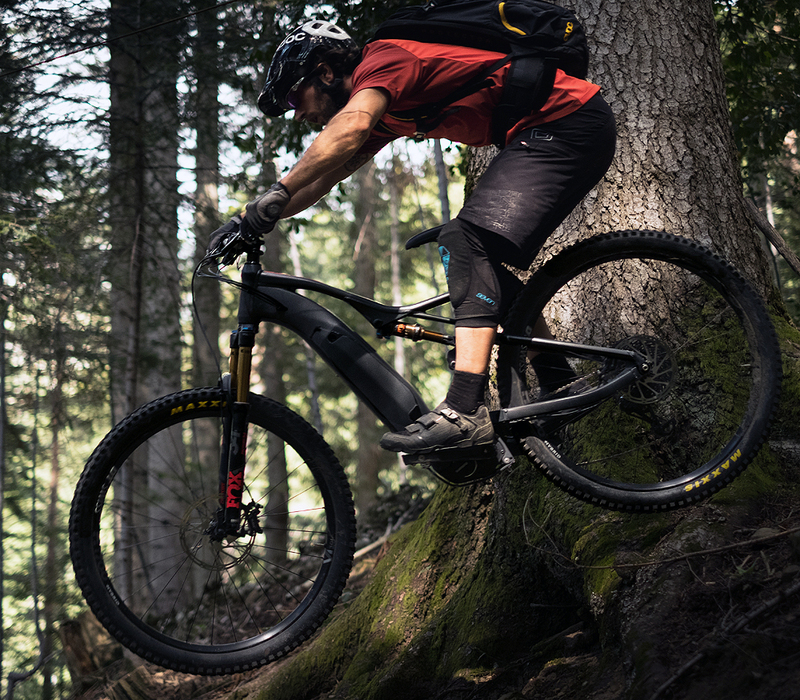 Wild FS, our first full-suspension electric MTB, has captured the attention of the specialized media from around the world for its versatility, superb handling and design. Want to know more about what those who have tried it are saying? The German website Emtbnews also jumped at the chance to learn all about our Wild FS, in a test where they praised “the combination of 29er wheels with ample travel and an excellent all round suspension feel give an eMTB that you can do pretty much anything with,” as well as the performance and integration of the battery with the Shimano motor. You can read the full test results by clicking on this link. The tester at SoloBici, who describes Wild FS as a “multipurpose e-bike, and very enjoyable,” calls attention to its original geometry: “Its short top tube (…) might seem like that of a bike that is not very sporty in terms of current market trends. But everything is designed for it,” he explains. “Since they are heavier bikes, much more so that a non-electric bike, stability is fully balanced, and with the shorter top tube, we controlled it better than any other e-bike we have tested,” he concludes. With this evaluation, it is no wonder that our full suspension e-bike was a “total success” at the Sant Andreu Festival Solo Bici by Shimano, as reported on the magazine’s website. Olivier Béart, co-founder of the French magazine Vojo Mag, was another journalist who had the chance to try out our Wild FS. His comment about the well-considered features of Wild FS is complimentary “they’ve done much more than just add a simple motor and battery to an existing frame.” and Olivier sings the praises of the specific geometry of the Wild FS, as well as its efficiency and manageability. “It bears an authentic likeness to the Occam: the weight distribution provides an extra plus in terms of performance and the result is a simple, fun bike that is suitable for practically any terrain,” he indicates. The prestigious British website Bike Radar has no doubt about it: “Orbea's first e-MTB is truly wild”. Colin Levitch also notes that “the motor and battery are cleverly integrated,” as well as its “easy battery replacement.” Bike Radar ends by emphasizing that the Wild FS is one of the first e-bikes to have the new Steps E-8000 system by Shimano: the lightest and most compact motor on the market. It’s not just the press that has reported on the launch of our revolutionary MTB e-bike. Juan Castro, from the sports newspaper Marca – with the most readers in Spain- highlights the “versatility” and “dynamism” of the Wild. “It behaves with tremendous nobility both uphill and down (…) a real pleasure for the legs and can be ridden by any sort of rider,” he concludes. El País, the most read general media source in Spain, echoes the boom of assisted pedaling bicycles in its online edition, which includes Orbea as one of the top brands in its article “Why we will all ride an e-bike”. The magazine MTB Pro already reported that the Wild FS is here to take a step forward in the evolution of Trail e-bikes. The claim was proven following the test conducted in the Madrid mountains by contributor Iñaki Gavín.“It feels very lively and accelerates brilliantly, proving to be very agile and manageable: the natural riding position is well-balanced, which means that the e-bike always makes good contact with the road and transmits security, even when entering turns a little too fast,” he writes. Simone Lanciotti, writer of the Italian website Ebike Cult, names agility and manageability as the main virtues of the Wild FS, the product of its particular geometry: “Orbea has decided to buck a trend that currently dominates all areas of MTB: shortening the top tube to increase maneuverability,” he explains. As far as mountain electric bikes go, E-MountainBike is the leading media source in Germany. Magazine writer Moritz Dittmar echoed the launch of our full suspension e-MTB, pointing out that “like some other manufacturers Orbea chose to integrate the conventional, external Shimano battery into the frame,” in order to make the bicycle lighter. In addition to these early analyses in the media, the world’s most important MTB magazines and websites have also reported on the launch of our Wild FS, including the German Pedelec & E-bikes and Bike Magazin, the American BikeRumor and Bicycling, the British Mountainbike Rider, the French Velo Vert and VTTAE.fr, and the Spanish Todo Mountainbike.